We are looking to recruit an enthusiastic and media-savvy graduate (any subject) with some experience in media/video production and a desire to advance their skillset over the course of a 6 month, full time internship at Sort Of…Films Ltd. The role will involve office-based administration and general support through pre-production, production and post-production phases of our many projects. You will co-ordinate shoots with clients, book and schedule crew, recce locations, maintain our web presence and assist our staff and crew as required. The role will also involve some ‘office management’ tasks such as preparing meeting areas, ordering stationery, answering phone, opening mail etc. You will also accompany camera operators/directors on some shoots, when required. You will be trained up to efficiently assist with equipment, contributors, locations and other logistical and technical aspects of the shoot. There is the possibility of an extension of the contract at the end of the 6 month period, depending on the success of the appointment. The role will be paid at minimum wage. This will then be reviewed after 6 months should the contract be extended. The position starts as soon as the successful candidate is available but no later than July 2016. Interviews will take place before the end of April. 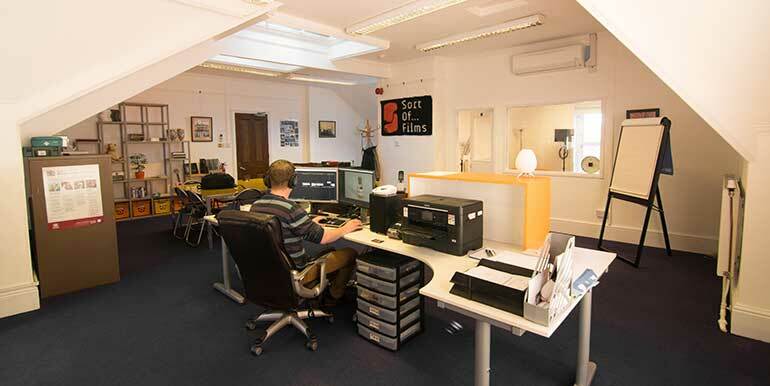 < An Introduction to Sort Of…Films Ltd for Students	> Looking for deskspace in Sheffield?